The fundamental purpose of the ISO27k digital forensics standards is to promote good practice methods and processes for forensic capture and investigation of digital evidence. While individual investigators, organizations and jurisdictions may well retain certain methods, processes and controls in compliance with local laws, regulations and established practices, it is hoped that standardization will (eventually) lead to the adoption of similar if not identical approaches internationally, making it easier to compare, combine and contrast the results of such investigations even when performed by different people or organizations and potentially across different jurisdictions. Production: the relevant information from the analysis, plus the original storage media etc., is presented to the court as evidence. This inevitably involves demonstrating and explaining the meaning of the evidence in terms that make sense to the court. Hopefully, something along the lines of “I state, under oath, that we complied fully with ISO/IEC 27050” will, in future, side-step a raft of challenges concerning the eDiscovery processes! SC27 has recommended that part 1 should be made available for FREE via the ITTF website. As of August 2018, it isn’t, yet. Suggests a few possible metrics. Status: part 2 was published in September 2018. Status: part 3 was published at the end of 2017. Status: the project developing part 4 was re-booted in 2017. The 4 parts of this standard concern electronic discovery ... which is similar to the other standards. The word “evidence” has been eliminated from the standard, presumably because of troubling differences of interpretation and implication in various jurisdictions. “Electronically Stored Information” is a clumsy replacement but at least “ESI” is succinct! 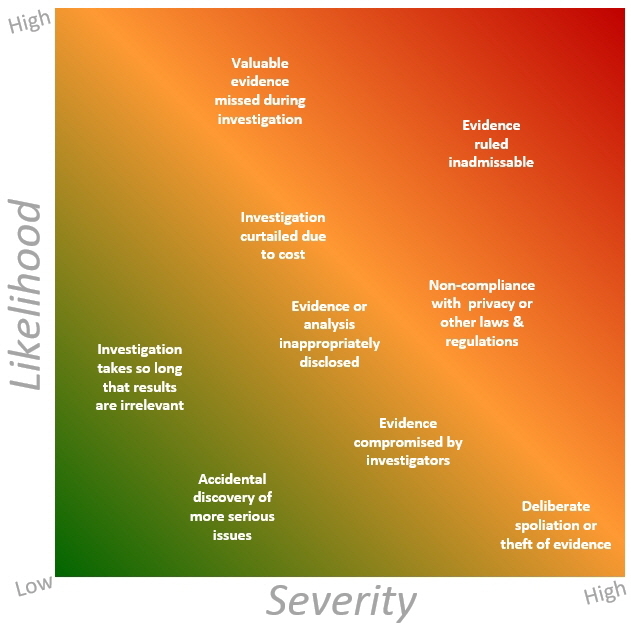 Given that these are all aspects of eDiscovery, it makes sense to cover them as one multi-part coherent standard. This should be a very worthwhile international standard, particularly if it aligns the terminology, processes and controls across various jurisdictions. It would be wonderful if the digital forensics-related laws, regulations and practices were also aligned but that’s just a pipe dream! I wonder if there might, in due course, be a demand for certified compliance with ISO/IEC 27050 and perhaps the other digital forensics standards, as a way to add credibility to the assertion noted in step 7 above ... ?